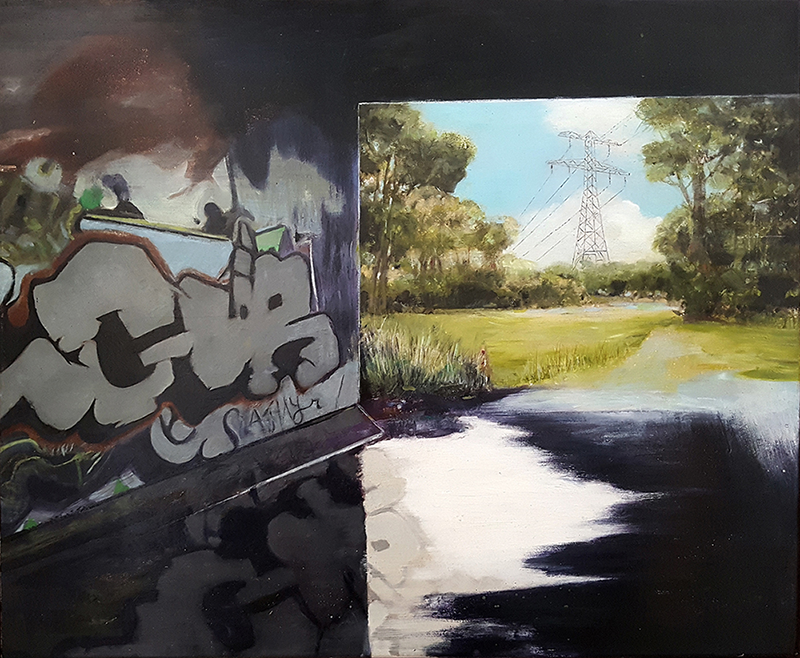 My paintings of 2018 focus on ruins: deserted and obsolete industrial wastelands, bulldozes sites of demolition, transitory places on the outskirts of cites where scattered commercial lowrise and basic housing meet with the wildness of nature bushes, trees, overgrown grass, rubble and dirt. These unnamed places, left behind by the fast pace of modernizartion and urbanization, carry with them the memory of human existence yet to be rediscovered and redeveloped into something useful or meaningful within contemporary life. They represent both in-between sited and precarious states of being. My paintings employ a palimpsest methodology of erasure and overwriting to present a fresh vision of these constantly evolving landscapes. I translate my photographs into paintings to call attention to implicit political and social narratives transcribed in the built/urban environment. Into the Light was exhibited at the Changes 40 Years of Art Practice shown at Pop Art Gallery QCA Brisbane. Major Prize Winner, Dennis McCart “Someplace Else Unknown.